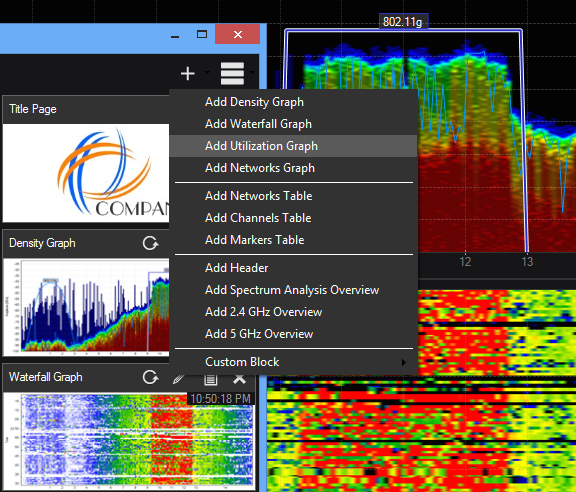 The Report Builder Accessory is a fully customisable Chanalyzer add-on that allows you to create, export and send custom spectrum analysis reports including graphics. Flexible timespan and view options. Select any timespan with the navigation waterfall, and customize the output to Report Builder with Chanalyzer's built-in visualization controls, view options, and filters. Customize each report block's title, text, and position in the report. Need it somewhere else? Take the data to any app. 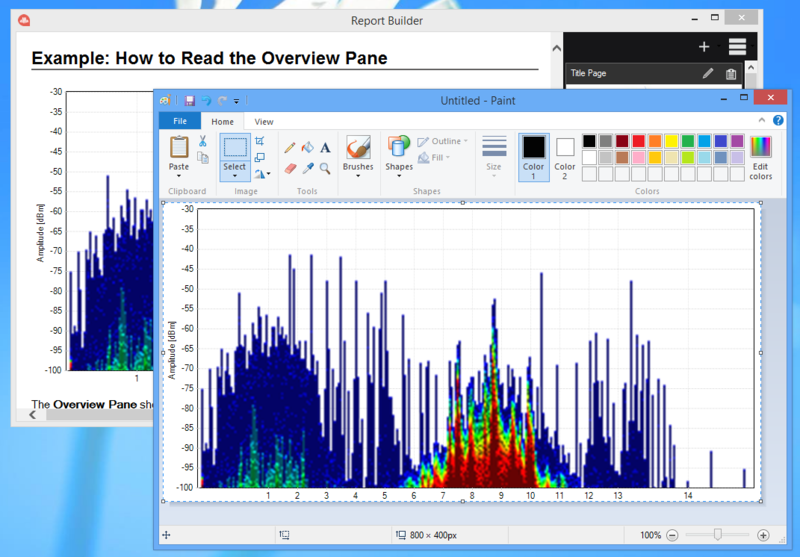 Use the Copy to Clipboard application to copy images and tables out of Report Builder for use with other applications such as Google Docs, Notepad, or Excel (yes, we are totally using Paint in the example). 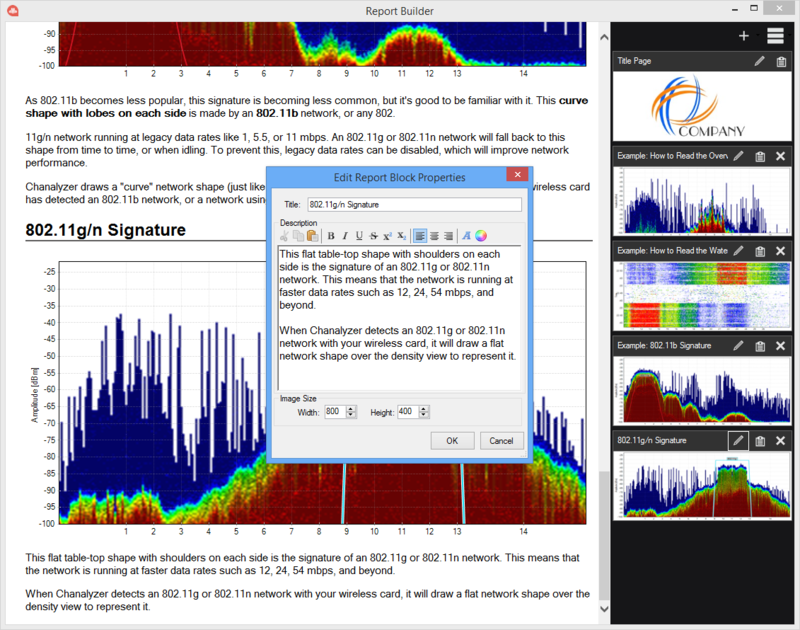 Save the report for editing later, or export it to a common filetype like an RTF or PDF file.